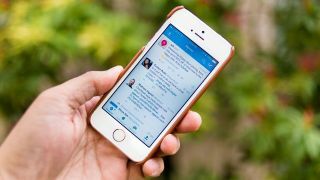 Twitter has warned its users not to fall for a viral prank that has ended up with people getting locked out of their accounts. A rumor has spread on the social network site that if you change the year of your birth to 2007, you’ll unlock an exclusive color scheme in the Twitter app. Can Facebook and Twitter exist without fake news and trolling? However, by changing your birthday to 2007, you’ll be locked out of your Twitter account. This is because you have to be 13 years old to use Twitter – and by changing your birth date to 2007 you’ll be claiming you're only 12. While a new color scheme doesn’t sound too exciting, the allure of getting access to an exclusive feature has tricked enough people to make Twitter warn its users not to fall for the prank. If you have fallen for it, then check your emails for a message from Twitter Support, which will have instructions on how to access your account again.